I have an eight month old Newfoundland Dog who is refusing to walk. He used to walk every day, but now I can barely get him to come down off the veranda. Nothing happened during any walks to traumatize him and he has been checked out by a vet for physical problems, but nothing seems to indicate why he won't walk. Any advise or suggestions would be greatly appreciated. Does your dog just refuse to take walks around the neighborhood, or is he unable to walk inside the house too? If a formerly healthy dog suddenly refuses to walk at all then there's likely something physical going on. 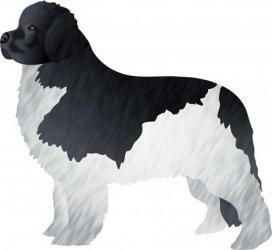 Newfoundlands are subject to Canine Hip Dysplasia, a degenerative disease of the hip joints that can be found in elbow joints too. Have your dog's hips and elbows ever been x-rayed? That is the only sure way to rule out dysplasia. I would suggest having this done, but you will need to find a qualified vet to carry it out and send the films in to the Orthopedic Foundation for Animals, where the x-rays will be read and the health of your dog's joints will be determined. If your own vet can't take care of it, he/she should be able to help you find one who can. Once dysplasia is either ruled in or out, you may have a better idea which direction to go in. Please keep us posted. My dog is a thirteen-year-old male West Highland White Terrier. He is having trouble walking, is very quiet, and has also been vomitting and panting heavily. He is still eating, but not drinking a lot and he tends to hide from the family. So sorry to hear your Westie is sick. The difficulty walking and the fact that your pet is hiding from his loved ones tells me he is in pain. Combine that with the fact that he's probably not taking in sufficient fluids, and you have a real problem. Your dog needs immediate veterinary attention, so please don't delay in making an appointment. Senior pets have a far more difficult time recovering from serious illnesses, and your dog's symptoms sound quite serious to me.